My name is Keabetswe Keith Mosumane. I jointly own a company called “Bergnek Community Projects” with a very close friend of mine by the name Mr Warren Te Brugge, who is based in the USA, The main objective of the company is to empower and uplift woman and the youth from my community through small business and projects. To date we have supplied a water pump for the community and run a number of programs to help the community come up with ideas on what is needed within the community. I originally met Warren in 2010 when he was being interviewed by a radio station is Cape Town about the work he was doing and asked him if he would help us in Bergnek. In the past year we built a community vegetable garden that is a vertical garden like a wall that makes it easy to look after the vegetables and takes up very little space because it is vertical. The garden has over 2,500 plants in it. We have also set up a business called GirlStuff.Period in which we manufacture re-usable cloth sanitary pads for girls and young women. The reason we do it this, is to keep young girls at school hopefully long enough to complete their Matric. In most rural areas, like our community, young girls do not have money to buy pads for their menstruation every month and when they get their periods in class, boys laugh at them and tease them, which causes them not to drop out of school. 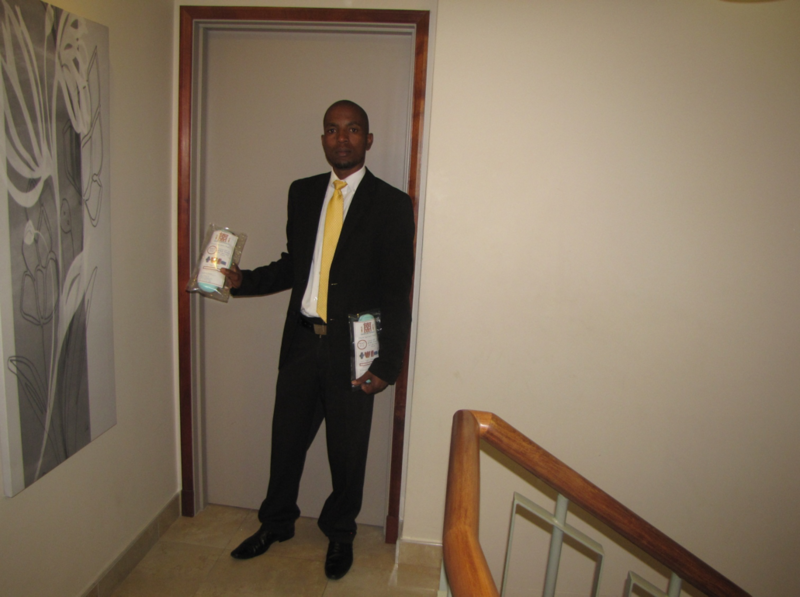 We decided to start manufacturing sanitary pads, as a way of trying to get girls back to school. 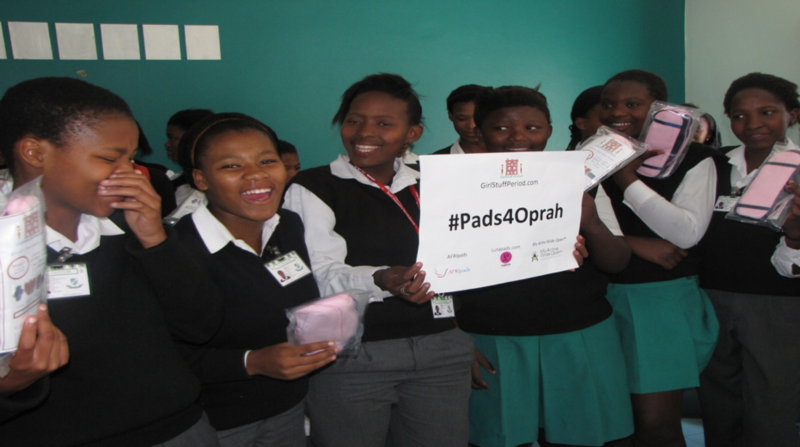 The pads are very comfortable and cost effective, because you can wash and re-use them; one packet consists of five pads and it last up to a year, depending on the individual, and how you look after them. We are hoping to build this into a business supplying menstrual kits to young girls and women across South Africa. In addition to what we are already doing, we will also want to open a brick manufacturing company that will help create even more employment for the community. We started the project, after a tragic incident that happen on the 15th of January 2007, in which my two year old son died because of the lack of basic medical support. My son got very sick and died mysteriously after a very brief illness. My mother who was staying with the child, called an ambulance, by the time the ambulance arrived, my son was already dead. This was the most painful experience of my life and working with Warren I’m hoping we can prevent other families from going through similar experiences by creating businesses that generate enough profit for us to provide a health clinic in the community. There is currently no clinic at the community and a mobile clinic comes once every Wednesday but is not sufficient. We want to provide support for mothers and children so that they have the help they need when they need it. Through my own experience, I realised that there is a lot of disadvantaged people that have also gone through what I went through. I want to put the things in place to prevent this in the future. No Father or Mother is supposed to lose a child at that tender age; I don’t want anyone to go through what I went through. That is the most horrifying and painful thing any mother or father could bear. At this point we have employed ten women, in the pads making business, and have also built a vegetable garden, as I mentioned, that will provide food for the community and surrounding areas. The future looks good, our goal is to eradicate poverty and build a better future for our people. I believe that, with what we have started it, we can also inspire other people from different communities in South Africa and Africa as whole. 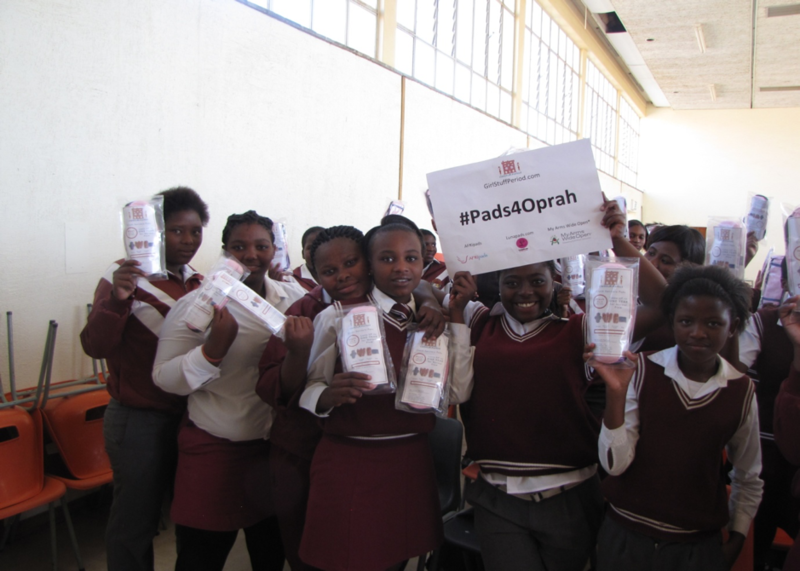 Our menstrual kit business is a new product in South Africa, and we need to get it out to the public and be able to reach out to the marginalized people in our society. The community projects get support from Canadian based NGO, called My Arms Wide Open, which was founded by Warren Te Brugge. For more information you can log on to www.myarmswideopen.org, By taking a look at the blog postings on the site, you will see the other projects that we do. As Bergnek community project. We are in the process of applying for financial aid to support the projects so that we can expand our projects and employ more people creating employment within the community and ultimately eradicating poverty. My Arms Wide Open is also working in Cradock in the Eastern Cape and three week ago, I was in Eastern Cape giving out pads at four school girls in Cradock. I’ve included pictures below from my trip. We have taken small steps at tis point, but steps that are significant in building the support for the communities we serve. Our goal over the next five years is to reach 1,000 communities and to do our part in helping people in the most poverty stricken parts of South Africa. Get involved with My Arms Wide Open and donate today click here. My Arms Wide Open® Foundation is a volunteer organization working with communities in rural South Africa and other indigenous and aboriginal communities around the world to support economic and infrastructure development. With by My Arms Wide Open ©2017. All Rights Reserved.